The common chaffinch (Fringilla coelebs // ro. Cinteză), usually known simply as the chaffinch, is a common and widespread small passerine bird in the finch family. The male is brightly coloured with a blue-grey cap and rust-red underparts. The female is much duller in colouring but both sexes have two contrasting white wings-bars and white sides to the tail. The male bird has a strong voice and sings from exposed perches to attract a mate. 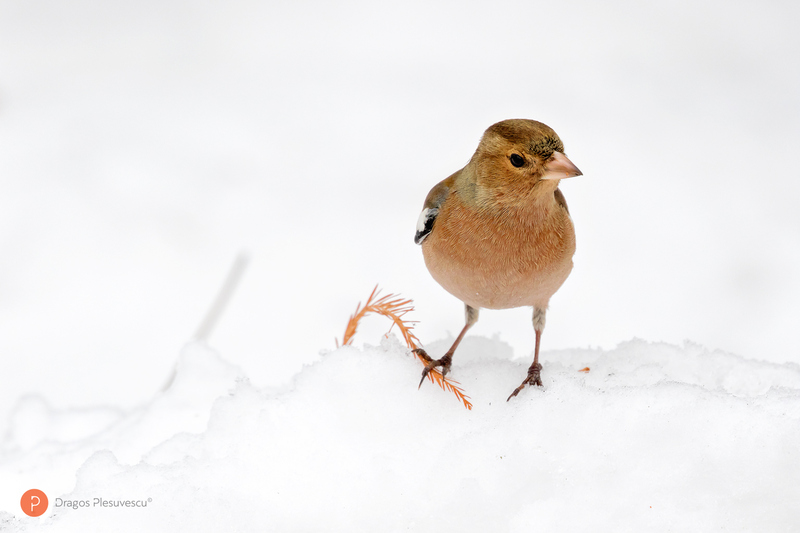 The chaffinch breeds in much of Europe, across Asia to Siberia and in northwest Africa. The female builds a nest with a deep cup in the fork of a tree. The clutch is typically 4–5 eggs, which hatch in about 13 days. The chicks fledge in around 14 days but are fed by both adults for several weeks after leaving the nest.